Anglers, hikers, and others who love nature will now have even more places to enjoy their favorite pastimes. Pennsylvania Sea Grant has been instrumental in helping conservancies and other entities acquire properties for conservation and public access. 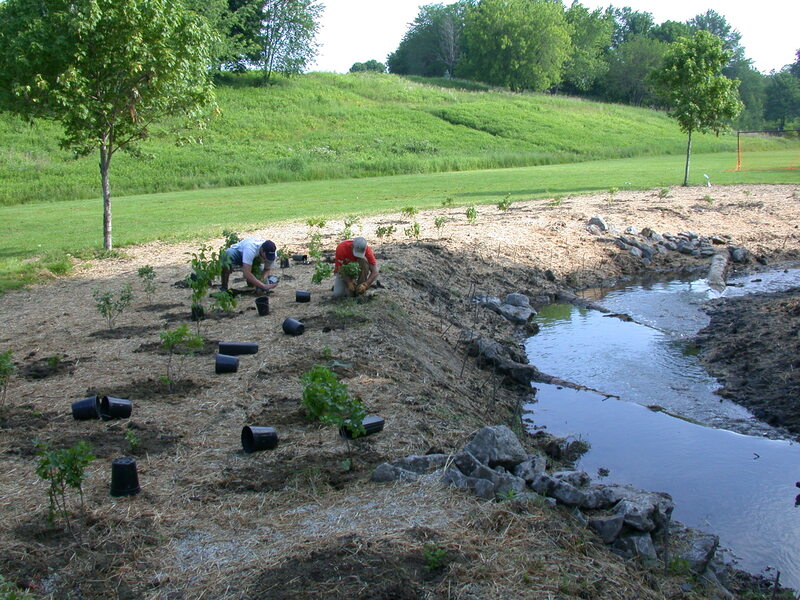 Since 2003, PA Sea Grant has assisted the Lake Erie Region Conservancy, the Western Pennsylvania Conservancy, municipalities, state agencies and others in conserving 1,736.7 acres, 10.14 miles of stream corridor, and 2.6 miles of the Lake Erie, PA shoreline. Property values are currently at $12.55 million. In addition to the collaborative land conservation efforts, Dave Skellie, PA Sea Grant Coastal Land Use Specialist and Tom Cermak, PA Sea Grant Coastal Outreach Specialist, apply for funding through federal, state and local sources. Skellie and Cermak also work with individual property owners who may be able to qualify for tax credits on their property through the donation of conservation easements. There are many benefits to land conservation, such as leaving a legacy for future generations, providing habitat for wildlife, and providing public access so that others can enjoy the natural beauty via walking, bird watching, and other low impact types of access. Land conservation also supports and sustains economic development by supporting business and job opportunities that result from tourism. As an example, in Erie County, conservation of creekside properties and public access programs support the nearly $10 million annual steelhead recreation industry along Pennsylvania’s Lake Erie tributaries. Current and past land conservation partners include the Lake Erie Region Conservancy, PA Fish and Boat Commission, PA Dept. of Conservation & Natural Resources, National Oceanic & Atmospheric Administration, PA Dept. of Environmental Protection, Proctor and Gamble Corp, Federal Highway Administration, PA Dept. of Transportation, Western PA Conservancy, The Nature Conservancy, Erie County Dept. of Planning, Erie regional municipalities, private land owners. If you are interested in conserving your property contact Dave Skellie at 814.217.9011 or e-mail dus18@psu.edu. UPDATE! - "Nature Enthusiasts and Wildlife to Benefit from Statewide Investment In Recreation & Community Revitalization - Battles and Gilmore Farms to be Conserved"